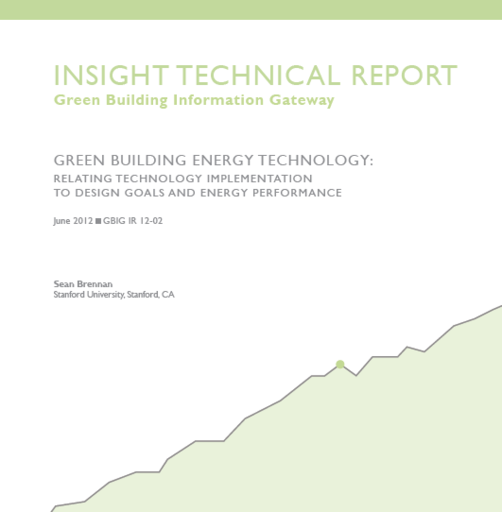 This study identifies the need for building design decision support regarding new energy efficient technology with a concentration on building technology implementation challenges and the energy efficient and innovative technologies used by project teams to solve the challenges. LEED certified buildings were examined for the study to determine which technologies were implemented most often and their initial energy saving purpose. This collection includes all projects included in this study. Authored by former USGBC MAP Fellow Sean Brennan.